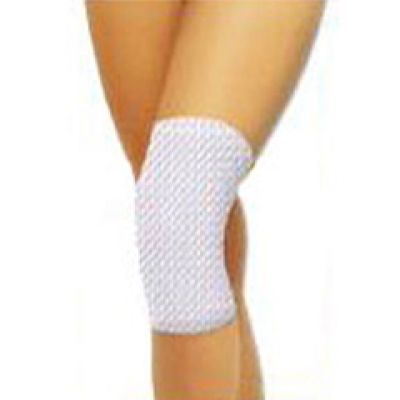 Home » Knee brace "Huashen"
Girth above and below the knee at 10cm. The action of the product lies not only in eliminating inflammation and pain, but mainly in the regulation of inland canals, cleaning the blood, strengthen the immune system, increased phagocytic white blood cells and reticular cells, and bacteriostasis. Especially effective curative effect products have on the rheumatoid and rheumatoid arthritis. Results of knee pads in the hospital inpatient unit 4 Army of China show: 48 hours - 2 days - disappeared joint pain, sleep, and swelling of the tumor completely disappeared symptoms of rheumatoid arthritis. * Rheumatic and rheumatoid arthritis. * Pain in the knee muscles, neuralgia, cramps leg, varicose veins, numbness of the muscles. * If edema, hemiplegia in bedridden patients, pain in the legs. * As a preventive measure for elderly people. * The leg muscles spasms, swelling, sprains and fractures of the legs. Rheumatoid arthritis - a common disease that often manifests itself in different locations of the joint, mostly in the form of rednesss - tumors, burning, pain. Sometimes just a few joints, there is severe pain, increased body temperature, increased protein content in the blood. If at this point in time not to apply the measures, the disease develops into rheumatoid arthritis. Rheumatoid arthritis or rheumatism - a chronic joint disease characterized by proliferation of the joints of the body and periarticular tissue, symmetry refers to the immune-inflammatory diseases, trudnoizlechim, so it is called "non-fatal cancer." Basically, the disease affects the small joints of the bones of hands, wrists, feet, etc. At the beginning of the joints blush appears burning, there are infringements of their functions, then they lose mobility and distorted, skeletal muscles contract and atrophy often occurs as a result of disability. With regard to the spread of disease, rheumatoid arthritis - an inflammation of the connective tissue, which initially affects synovial membrane of joints, may spill over into the cartilage, bone, ligaments and tendons, then spreads to serosa, heart, lungs, eyes and other organs. It is a disease of the whole organism, because except for arthritis, there is fever, general weakness, pericarditis, pleurisy, diseases of the peripheral nervous system.